This paper tries to investigate project management knowledge expansion to a vertical industry – automation systems. First the literature carefully limits the scope of automation systems. It then gathers themes from literature review, map themes between vertical automation systems, PMI common themes and other technical / managerial disciplinary themes. The managerial and technical specific requirements are gathered, understood, and solution themes are proposed for each requirement. At the end, the literature concludes an integrated management framework is preferable to support automation systems project management. PMO, program and operation management should also get involved so that the whole automation systems project management movement can get enough support within the enterprise. This is the second part of the article. Step 4 - What do systematically identified articles tell us about project management in the non-traditional areas identified? Project Manager Initiatives / Role(s) PM can play. Impossible to automate all tasks. Review / Record / limitations, alternatives, decision analysis document, and lessons learned into highly effective knowledge management systems. Make sure manual operation processes are documented, implemented, and will be enforced. This can be very serious, depending on what kind of automation systems. Public Safety & Health; Availability; Robustness are most importance. Introduce careful, conservative assessment of technologies, modelling, reviews and appraisals, before implementation. Track Scope / Budget/ Cost and compare them with the estimated values frequently. Come up with a plan dividing it into smaller programs / projects, have clear value- added targets in each of them. Diplomacy between functional areas so as to gather support and funding. Corruption, Corrosion, Pollution can be specific to automation system or large industrial energy plants. Bring awareness to all employees about environment and pollution. Produce risk management register, plans for corrosion on assets and processes. Corrosion prevention treatments, minimize corrosion upsets and failures, and; minimize the availability. Redesign interfaces, involving ergonomics & usability considerations. Initiate project to improve user interface, by gathering feedback, iterative design and review, expert judgement opinion, better schedule management. It can be more complicated in automation systems since it involves adapters / hooks between monitoring infrastructure and different machinery / automation system components (integration difficulty). Communication; technological infrastructure development project management; operation management; evaluation; business process analysis. Integration with enterprise resource planning systems; Track-and-trace, documentation and historical analysis. Keep these design principles in mind as early as possible before implementation. Design reviewed carefully, iteratively by multiple experts, gather feedback that against the principles. Initiate integration projects with ERP (Information systems) that may simplify designing one on your own. Systems & architecture design; Evaluate design; architecture methodologies. Knowledge management. Projects to evaluate review and introduce different possible energy saving practices. Implement and execute projects that modify the existing automation systems, or integration energy saving components to automation systems. Change management; Education; technology & practices evaluation process; Integration project management; risk management. Make sure the infrastructure are utilized by operations and employees. Make sure there are on going maintenance and administrations of the infrastructures. Use PMO to co-ordinate between functional units, vendors. Initiate a project to execute this object. Careful Design of systems that can minimize vendor locked in; Also make sure change management infrastructure and processes can be issued. Manage projects that carefully evaluate design against vendor lock in criteria. Initialise events that can train employees and bring their awareness for changing. Utilization information systems or physical manuals to facilitate self-studied or cross- trained activities. Encourage competencies check and feedback. Ensure scope management process is being enforced. Close monitoring with Quality assurance agents; Frequent feedback, quality tracking & analysis. Manage quality assurance specialists, auditors to align with compatibility or compliance, standards of components. Make sure the problems reported are evaluated, prioritised, investigate, fixed or managed. Make sure operations aware of problems or changes. Device effective vehicles that would facilitate effective documentation, knowledge sharing; and self-learning. Projects establish effective content management, knowledge infrastructure, so that relevant units can share, reference and collaborate, utilizing this assess. Also make sure information stored are easily searchable and retrievable. Make sure there is access control on the systems. Introduce standards, experts’ framework, and processes. Manage technical projects; optimisation; evaluations; others. Here are the observations from the mapping. What’s make automation systems unique. Automation systems are a multi-disciplinary system. It can be a combination of business systems, mechanical, electrical, chemical, manufacturing process, electronic, static infrastructure, material, and supply chain and/or information systems. The scope / cost of developing, modifying or automating systems can be so huge that it may be wise to execute them into multi-projects, multi-phases, multi-programs; At the same time all of them can share common platform of knowledge or other sharable resources. At the same time it may be worthwhile to use a centralized unit, such as PMO to co-ordinate resources, facilitate department descriptions, and lobbying for enterprise wide / executive management support. On the other hand, outside the automation systems, there are requirements of integrating at least two main separate logical frameworks; One is governance – monitoring – analysis - reporting framework. The other framework that would improve the energy efficiency and environmental friendliness. The third one is a Enterprise Resource Planning systems. The fourth one is a communication and knowledge management infrastructure framework. Each framework can consists of information systems, user interface, multi-disciplinary sensors/effectors/drivers/hooks to systems components, administration staff, knowledge / skill sets, business operation process document etc. The impact of integration them all at once is unrealistic, costly, some may be even impossible because of technical or environmental limitations. Project manager has to be aware the risks of moving each pieces, get enough support, prioritise, and communicate carefully while moving or integrating those pieces. Some tasks may require behaviour changes of the whole organization that messages delivered are highly visible and political sensitive. To decide how, what and why to integrate software or hardware pieces into the systems, lots of careful assessments and evaluations need to be done. Experience project managers may need external resources to support the changes that utilizing procurement management vehicles can be frequent. After implementation, communication infrastructure can be used to train workers, and co-ordinate operation management efforts. Walking around everyday seems to be necessary. Artefacts, references & document are needed to be stored properly for effective retrieval. Collaboration tools, knowledge and support sites are beneficial to support operations. If you are the project or program manager jump in the first day, how can you manage the whole systems without multi-disciplinary technical knowledge? At least high-level glossaries and logical maps have to be handy. Also visualising and presenting data nicely may be a bonus as well. Decision-making needs to be careful and collaborative between business and technical experts unit. Also composing and de-composing teams are unavoidable. 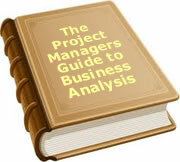 This document tries to investigate project management knowledge expansion to a vertical industry – automation systems. First the literature carefully limits the scope of automation systems. It then gathers themes from literature review, map themes between vertical automation systems, PMI common themes and other technical / managerial disciplinary themes. The managerial and technical specific requirements are gathered, understood, and solution themes are proposed for each requirement. At the end, the literature concludes an integrated management framework is preferable to support automation systems project management. Quasi management sub-framework such as energy – environmental friendly, process monitoring ad control, communication and knowledge management infrastructure, enterprise resource management, organization behavioural management are vital to integrate into the existing automation systems. Below are the sources of Academic / Industrial Journals and Literatures. This would show the broadness automation systems project management span across. LePree. (2009). Simplifying Optimization, Chemical Engineering Nov 2009; 116, 12; pg 25. Eric Tse is an international recognized expert/consultant in Enterprise Access and Identity Management Architecture Design and Implementation. He has been working with international renowned experts in information technology in many prestigious companies. He also pursues research interests in project management, financial models, application/enterprise/solution architectures, compilation technology and philosophy of science. To date, 6people have rated this article. The average rating is 3.50- Add your rating. Just select a rating and click the button. No other information required.